This week on Initial Reaction we talked the much-anticipatedl kick-off to the Harry Potter prequel franchise titled Fantastic Beasts and Where to Find Them. I was unable to make it to the early showing of the film on Thursday night and promised my wife we would see it over the weekend anyway, so as things worked out and I didn't see the film until Saturday, but was lucky enough to have Levi Agee, the Creative Director at CenterRock Advertising here in Little Rock and former programmer for the Little Rock Film Festival, fill in for me and give his thoughts on this new chapter in the Potterverse. As for how Fantastic Beasts fared at the box office, it easily won the weekend with a sound $75 million which is more or less what expectations were for the $180 million film though it's easy to guess that Warner Bros. was hoping for bigger breakout numbers rather than simply what was expected. The studio should chiefly be concerned about the fact only 18% of the opening weekend audience was under the age of 18 while 55% was over the age of 35. This tells us that while Warner Bros. has the support of the legions of Harry Potter fans already out there they haven't necessarily convinced the new generations that didn't grow up with the books or films that this new franchise is one quite worth investing in. With four sequels already planned, Johnny Depp signed on as the big bad, and director David Yates already under contract to direct each of those sequels Warner Bros. is clearly placing a lot of resources and weight in the continuation of J.K. Rowling's wizarding world and they can only hope that with the home video release of this re-boot of sorts that word of mouth continues to build and convinces those that didn't show up to the theaters this past weekend that the many sequels might be worth their time. That's it for now, but as always, be sure to follow us on Instagram, Twitter, and subscribe to our YouTube channel as we have a new review (or reviews) up each week! 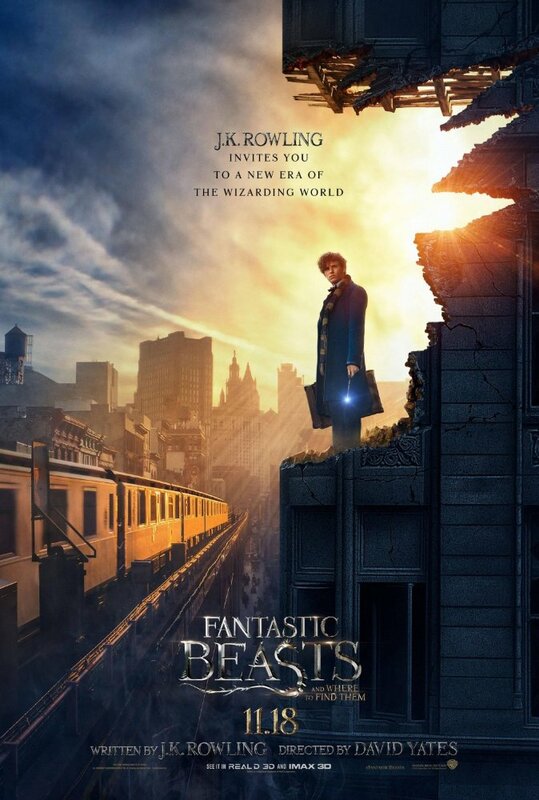 Read my full Fantastic Beasts and Where to Find Them review here.